WILL WE EVER SAIL AGAIN? It has happened again! WHO’S the CAPTAIN? 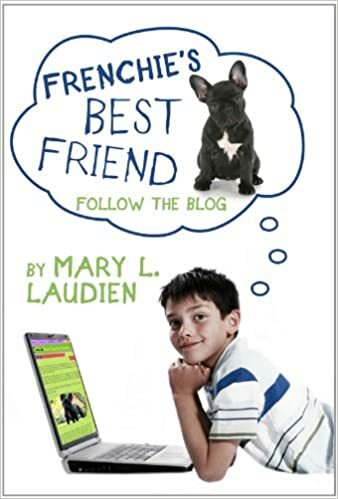 has been reviewed by GOOD OLD BOAT’S Newsletter Reviewer, Carolyn Corbett. 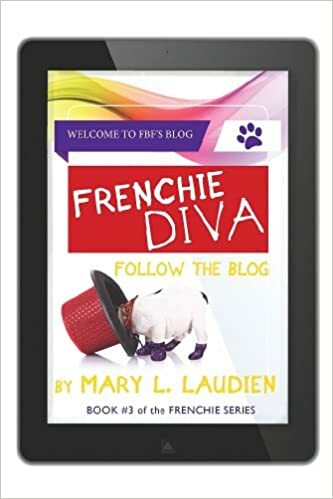 I am so thrilled with how she caught the complete essence of this humorous picture book targeted for boating families, that I just had to share it with you! Pacific Yachting Magazine (08/17) Book Review: WHO’S the CAPTAIN? 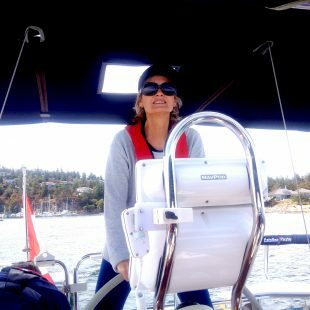 Imagine Prairie Girl’s delight when she opened up her August copy of PACIFIC YACHTING MAGAZINE and found a half page BOOK REVIEW of WHO’S the CAPTAIN? 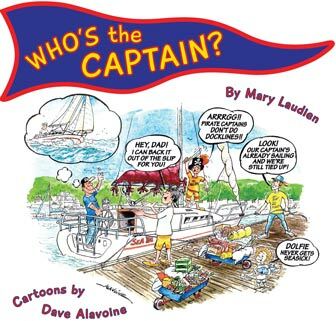 it embraced the magic of the collaboration between David Alavoine (PY’s cartoonist/ COCKPIT CONFESSIONS page) and myself in creating a humorous book that would appeal to all members of sailing/boating families. 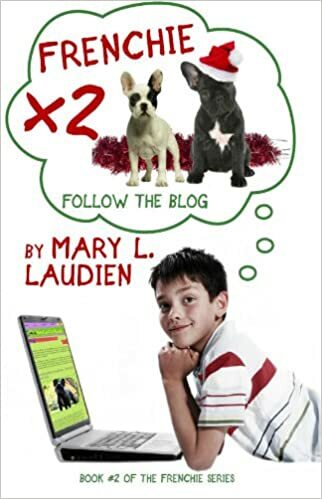 Both storyteller and illustrator must have been synced closely during this collaboration, as Alavoine’s cartoons seem to mirror so closely the mood of each of Laudien’s vignettes. 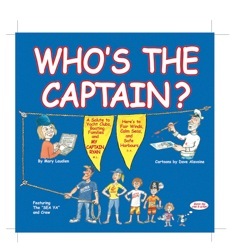 DO YOU HAVE YOUR COPY OF WHO’S the CAPTAIN? ABOARD to SHARE with YOUR KIDS/GRANDKIDS? Our YACHT CLUB Wants PRAIRIE GIRL to Write Articles for their Website reporting on REGATTAS, SAIL PAST EVENTS, and COMMODORE BALLS! SERIOUSLY? THE RETIREMENT THAT ALMOST WASN’T!